Infosec IQ awareness and training empowers your employees with the knowledge and skills to stay cybersecure at work and at home. Teach your employees to outsmart cyberthreats with over 2,000+ awareness resources and phishing simulations. "Phishing Education for the Healthcare Crowd"
The intuitive campaign roll out and the dashboards for campaign performance are very easy to use. Over a standard (for our organization) month long campaign, employee awareness of phishing and other security issues seems to improve 10%-15% and retention, thus far, has been good. Much of the language in the learning aids reference a reporting feature that was not a good fit for our deployment, because of that a certain percentage of the available material can't be distributed without modification. The Dynamic groups could use a bit more complexity in the Boolean logic arena, but frequently I've found if you restructure your thought process you can create a set of conditions that meet your needs. For example, when attempting to isolate specific campaigns from test campaign results when looking for users that have been phished, simply adding a date limiter to the query weeds out details that could not be extracted by campaign name as group membership is not a valid input. As a large group of Radiologists, or organization has been inundated with phishing attempts to glean not only financial resources, but also protected healthcare details. Historically we've had some close calls with ransomware and spear-phishing. After one such close call a request came from management to create an educational initiative to help better recognize threats of this nature. After looking at several vendors with phishing simulators we decided that Infosec IQ could provide us with the best fit. Thus far we have noticed a tremendous uptick in reported phishing events and improved user awareness of the dangers lurking in their inboxes. Through the use of dynamic groups we've even managed to automate some additional training for some of the less agile learners. Because of this the number of preventable incidents has dropped allowing our IT team to focus on more important things. "Infosec IQ easy to deploy with good, interactive content." The platform is very quick and easy to deploy, and allows for grouping Modules into Courses and Learners into Groups. Only one Course can be included in a Campaign. Infosec IQ has allowed us to quickly and easily address our compliance requirements in regards to Security and Privacy Awareness Training and Education. What Security Awareness Training solution do you use? 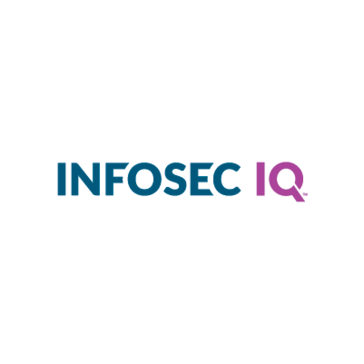 "So far we are very satisfied with the content, price, and service from SecurityIQ"
We were looking for a product to replace our present vendor for Phish testing. What we found with SecurityIQ is a platform that does so much more than that, it’s a robust platform that takes care of all our security awareness and testing. I am very impressed by all the updates and new content that comes out almost weekly. In my opinion, the large amount of quality content, options, and price outweighs the competition. We looked at many other vendors as well as free resources. It would be nice if there was an option to increase the speed of video training. Get a demo of the product. Security Awareness Training and Phishing for compliance. This meets our needs. KnowBe4 is a popular integrated platform for new-school security awareness training and simulated phishing. KnowBe4 was created to help organizations manage the ongoing problem of social engineering through a comprehensive new-school awareness training approach. Organizations leverage KnowBe4 to enable their employees to make smarter security decisions and create a human firewall as an effective last line of defense. Webroot offers cybersecurity awareness training to create a more secure workforce, educate end users on preventing online security breaches. Proofpoint Security Awareness Training solutions engage your end users and arm them against real-world cyber attacks, using personalized training based on our industry-leading threat intelligence. We offer a variety of assessments, training, and email reporting and analysis tools to deliver the right training to the right people at the right time. Customers using our solutions have reduced successful phishing attacks and malware infections by up to 90%. SANS is source for information and cybersecurity training and certification in the world. It also develops, maintains, and makes available at no cost, the largest collection of research documents about various aspects of information security, and it operates the Internet's early warning system - Internet Storm Center. Symantec Security Awareness Service web-based training and these training videos are integrated into your organizations learning system. Johns Hopkins Engineering helps students to complete their coursework 100 percent online in many of our part-time programs, with new online options developed and added every term. (ISC) is an international nonprofit membership association focused on inspiring a safe and secure cyber world. It offers a portfolio of credentials that are part of a holistic, programmatic approach to security. Effectively prepare your employees to act as your organization's first line of defense. * We monitor all Infosec IQ reviews to prevent fraudulent reviews and keep review quality high. We do not post reviews by company employees or direct competitors. Validated reviews require the user to submit a screenshot of the product containing their user ID, in order to verify a user is an actual user of the product. Hi there! Are you looking to implement a solution like Infosec IQ?